Which Anabolic Steroid is the Safest. This could be dependent on the user as everyone responds diffrently. Safe” has not only to do with roid choice or choices but also dose…let me make that perfectly clear. BUT if one was to choose a safest steroid it would likely be oral primo and not nandrolone or anavar and here is why. First of all it is a very mild androgen so it doesn’t rank very high in androgenic sides, which are typically the most potentially damaging. It is not 17 alpha-alkylated, like d-bol and so many other orals. It is 1 alkylated and beta esterfied. This makes it easy on the old Liver and lipid profile, unlike the por d-bol, anadrol or anavar. A high mg dose is required since the hormone is not protected from the gut by the 17 alpha-alkylated compound. primo does not aromatize so water retention and blood pressure increases are a non issue. It has a very short half life so if sides come on that you don’t like then you can easily bail out of a cycle. There have been reports of men using small doses of primo and still maintaining a somewhat decent natural test output. In other words it can be used, in moderation, without completely shutting down hpta – hypothalamic-pituitary-testicular axis – . Try that with the mild androgen nandrolone… no chance as even 100 mg per week will up hpta – hypothalamic-pituitary-testicular axis – . I must give the edge to nandrolone in regard to hair loss, if you have that tendancy, but the brutal affect that nandrolone has on hpta – hypothalamic-pituitary-testicular axis – cancels it as the safest steroid. Also no other hormone shuts one down more at the level of the testes than does nandrolone. Many men have a very hard time recovering form nandrolone. Not so with moderate dose primo…..recovery is usually not too much of a problem with Clomid use. Moderate yet anabolic dosage for men typically range between 75 and 150 mg per day. Unfortunately this steroid is very expensive and often faked. NEVER buy the 50 mg tabs unless you know they can directly from Schering, as they are not often the “real macoy” The 25 mg tabs from Schering are a much safer buy. 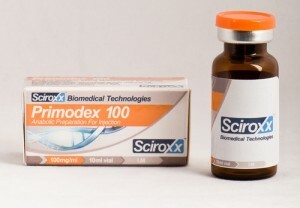 You can get 5mg doses but using this steroid in this way is nor very cost effective. Also, this steroid will not give you large gains in strength and mass. If you are after that then primo is not the best choice. It is valuable in the cutting phase of a cycle before a show since it does not aromatize yet is acceptably anabolic…..Quadsweep “The Voice of Reason” has including it in the cutting part of his current cycle for the nationals. For safe and reliable Anabolics, check out www.Hypermuscles.com They have alot of safe information and have not only Domestic Sources, but reliable and legit sources.